A generous donation allows NepRWA's award-winning education program to purchase new classroom models. 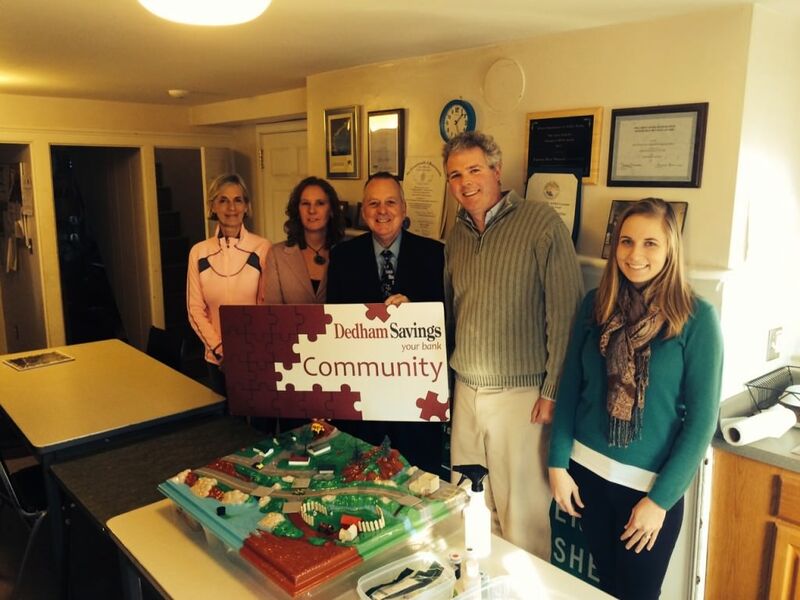 Pictured from left to right are Dee Mullen, Director of Development, Kristina LaFrance, Office Manager, Neponset River Watershed Association; Jerry Lavoie, Trustee, Dedham Institution for Savings Foundation; Ian Cooke, Executive Director and Sarah Bounty, Environmental Engineer, Neponset River Watershed Association. 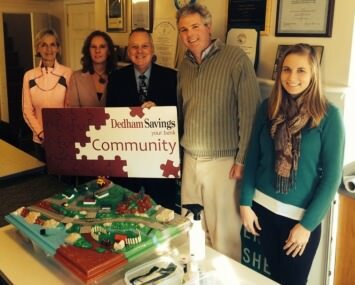 The Dedham Institution for Savings Foundation recently donated $2,500 to the Watershed Association for the purchase of watershed models to be used in our community outreach programs. Through partnerships with our watershed communities, we bring award-winning water conservation lessons into the public schools. From elementary schools to high schools, students are learning about their local water distribution systems, reasons and methods for conservation, and ways to prevent pollution and protect their water supply. We also table at multiple public events throughout the year to teach residents about their local water supply, and ways to improve water efficiency. As of September 2011, we have worked with the communities and school districts of Sharon, Canton, Dedham, Milton, Stoughton, Walpole, and Westwood. Water customers have responded enthusiastically to our water conservation outreach, and in Sharon, where we have been working the longest, water demand has dropped by 20%.